FTTA is a new application for fiber optic products. The traditional radio frequency transfer line (RF feederline) from the base station up to the Radio Remote Unit (RRU) on the top of the mast is now replaced with fiber transfer line (FO feederline). 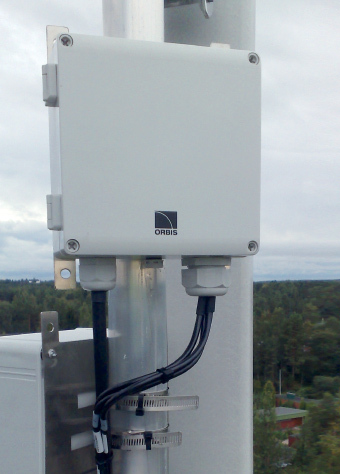 The major benefit from fiber optic data transfer is the low loss within the high frequency technologies such as WCDMA and LTE. An FTTA system requires only on feederline.